Free Envelope Liners in July! We’ve always been pleased with the custom designs from our friends at Haute Papier. From notepads to stationery sets, they have a design that will fit your style. We’re excited to announce that throughout the month of July they’re offering free envelope liners for all their enclosures. The right enclosure is a highlight with any gift and can add that special personal touch. With a custom envelope liner you’ll be able to personalize your enclosures to show off your personal style. Haute Papier offers many great patterns to choose from, you’ll be sure to find one you love! 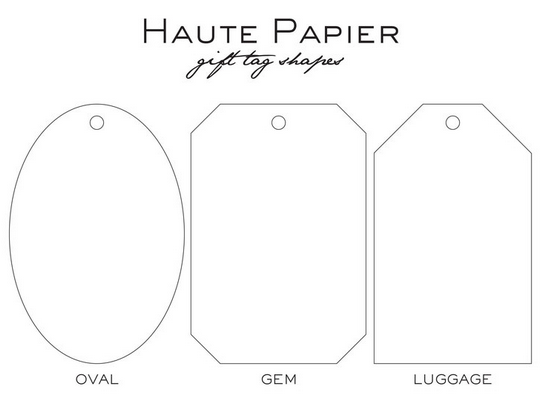 To take advantage of Haute Papier’s free envelope liners come visit us at our San Diego shop! New at Sweet Paper: Custom Gift Tags! 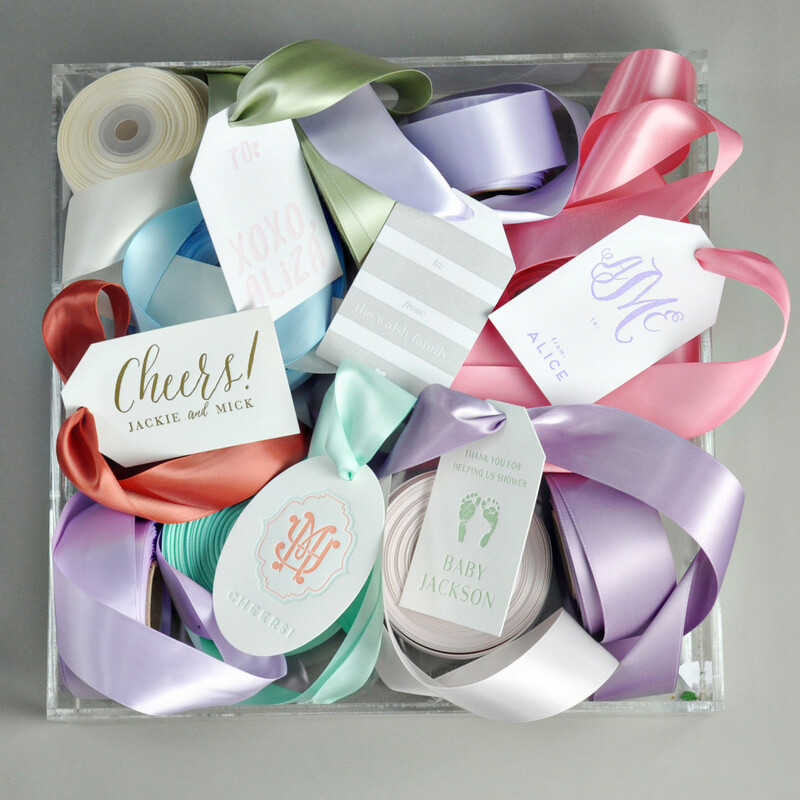 Haute Papier now offers customizable gift tags that are perfect for any occasion! 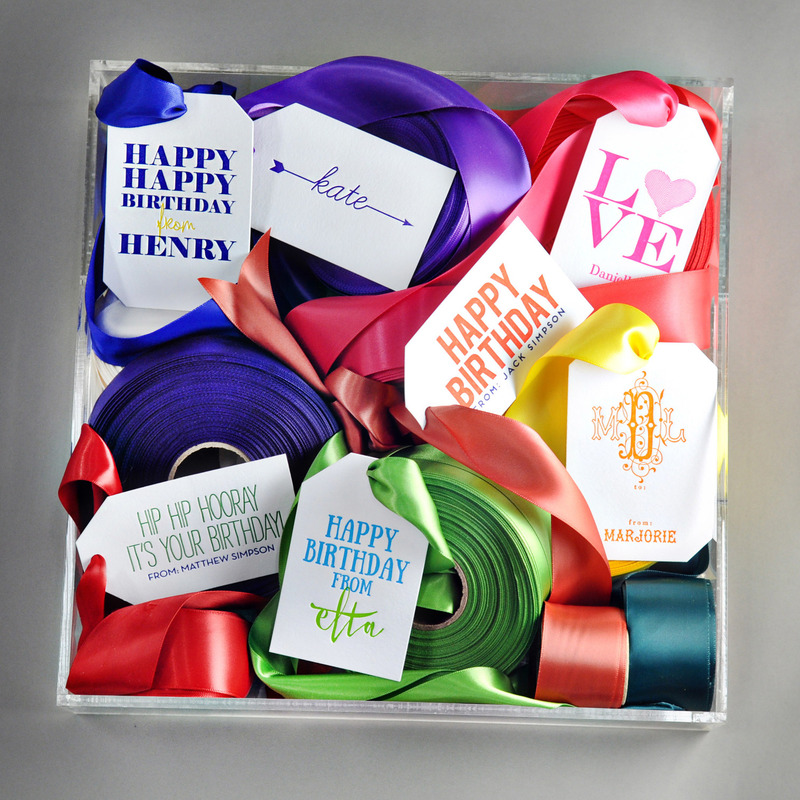 Personalize your message and choose from a variety of shapes and colors. Available in either one or two color letterpress, custom gift tags are a great finishing touch to a beautifully wrapped present. These new gift tags are a wonderful addition to Haute Papier’s collection of letterpress stationery. Stop into the shop to start designing your gift tags and stationery today! 1. Want to organize in style? The Gold Cabana Stripe Notebook is the perfect way to keep organized in a fashionable manner | 2. Tired of simple cork coasters? With the Bubbly Cheers Coasters you can entertain your guests in style | 3. Keep it classy with the Audrey Hepburn quote in gold foil on the Best Thing art print | 4. If you are in need of the perfect card for your bestie that’s getting married, check out the adorable Hugs and Kisses wedding card | 5. 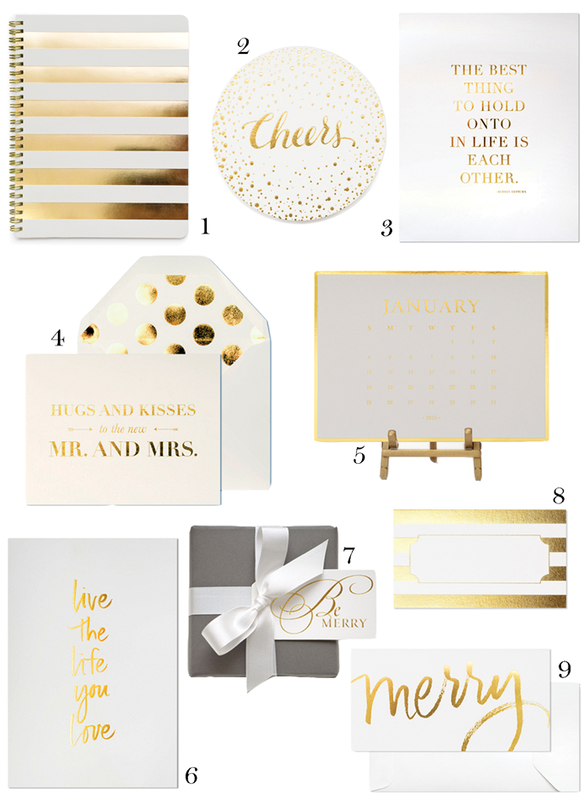 Here at Sweet Paper we are absolutely obsessed with the Gold Desk Calendar for 2015 | 6. In need of some new wall decor? Live The Life You Love with a new art print | 7. Yes, we are ready for the holidays! Accessorize your gifts with a Be Merry gold foil gift tag | 8. Hosting a party and want to keep track of your guests? We have the perfect Gold Cabana Place Cards to keep your night shimmering and organized | 9. The holidays are right around the corner. Show your holiday spirit with the gold foil Merry card.